This looks like a relatively straightforward S-100 static RAM board. 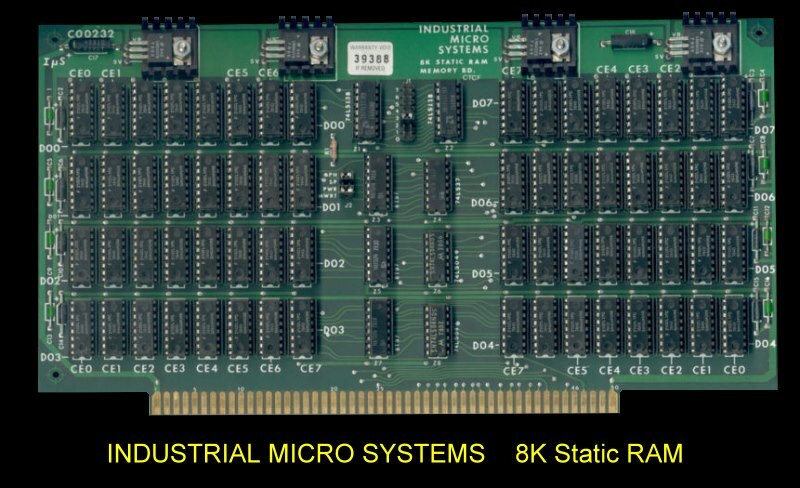 The board utilized the standard (at the time) 1KX1 21L02 RAM chips. The board recognized the Phantom S-100 line (pin #67). The board itself could be addressed to any 8K boundary in the 64K address space. The rather simple but adequate manual with the schematic can be obtained here.